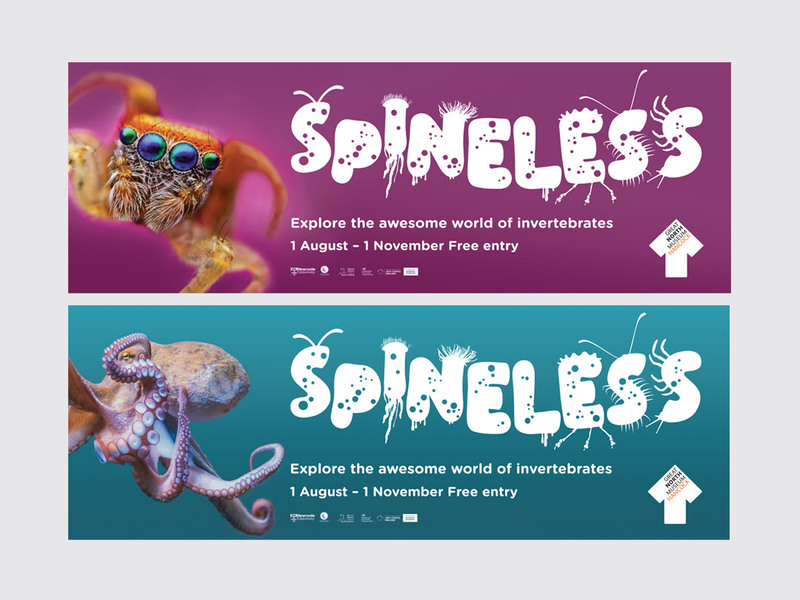 Creating an exhibition, aimed at young children and their families, that brings the amazing world of invertebrates to life. 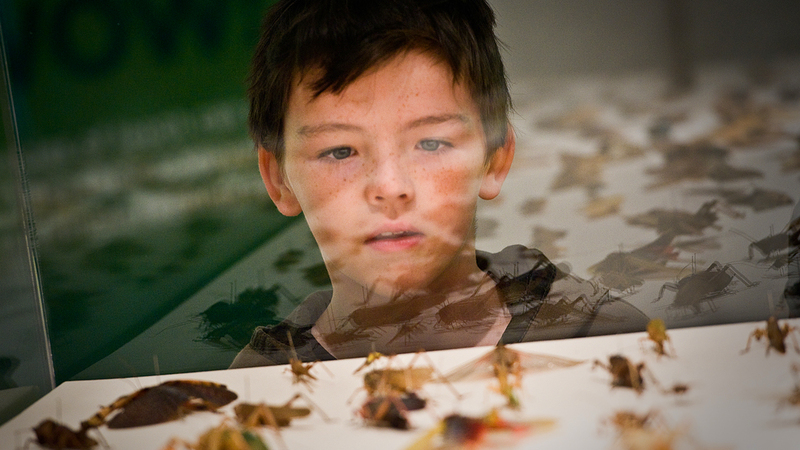 The Great North Museum (GNM) is a popular family destination offering exhibitions, expert talks, courses and activities for families. 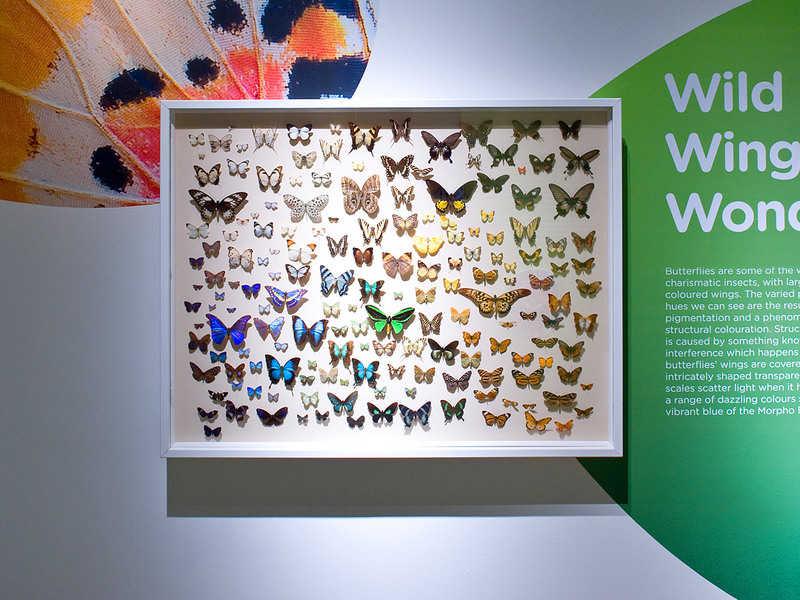 As part of its regular programme, GNM engaged Infinite to deliver a temporary exhibition exploring the world of invertebrates (animals without backbones). 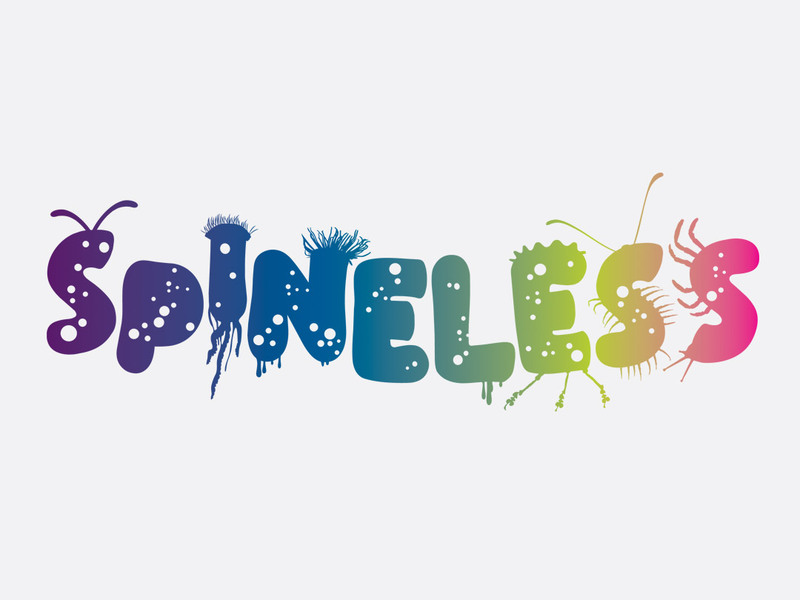 Entitled ‘Spineless’, the exhibition gave young children the opportunity to find out more about these fascinating creatures in a range of habitats including coral reefs, rainforests, gardens and parks. 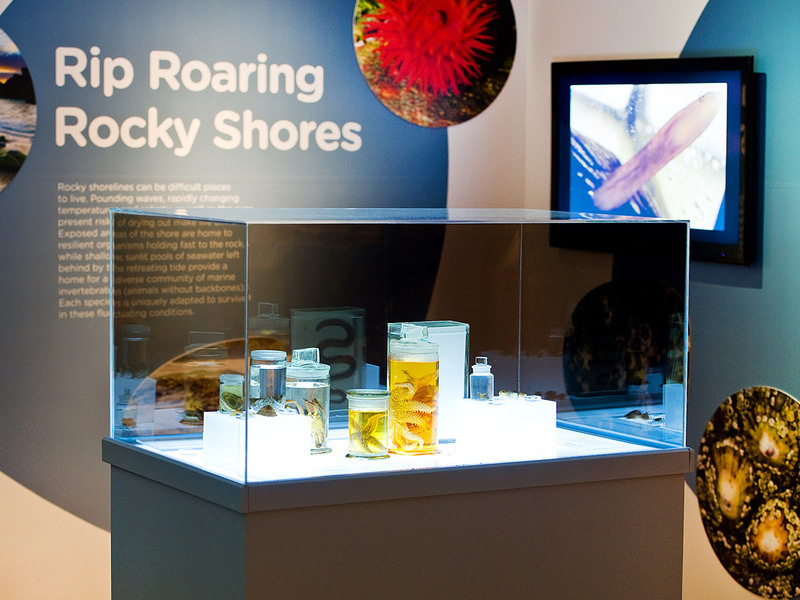 We worked with the curatorial team to design and build the exhibition. 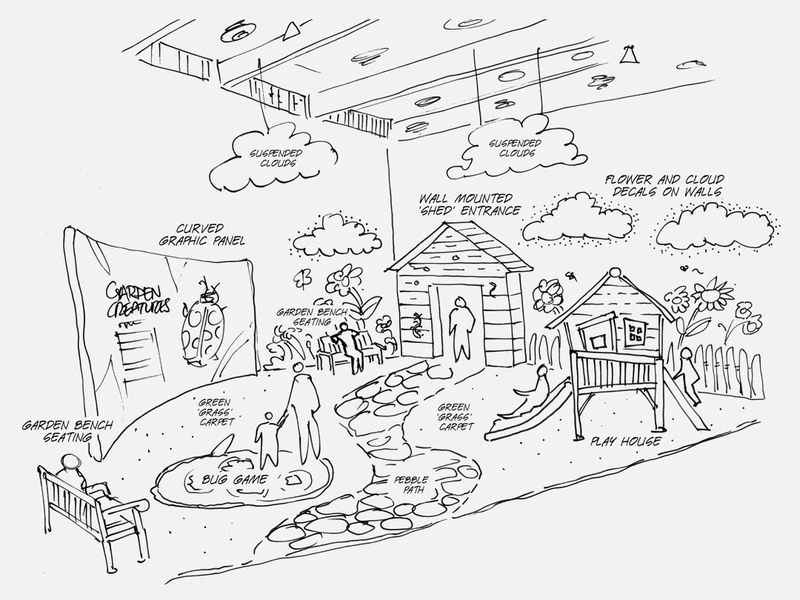 Work included all 3D and 2D design, low-tech interactives and audio-visual elements. 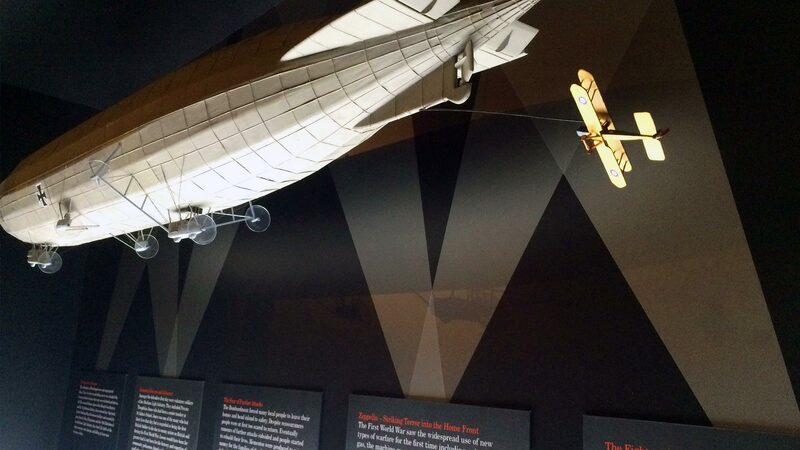 The exhibition was divided into five interpretive themes, each having its own specific visual aesthetic with a clear definition from one area to the next. 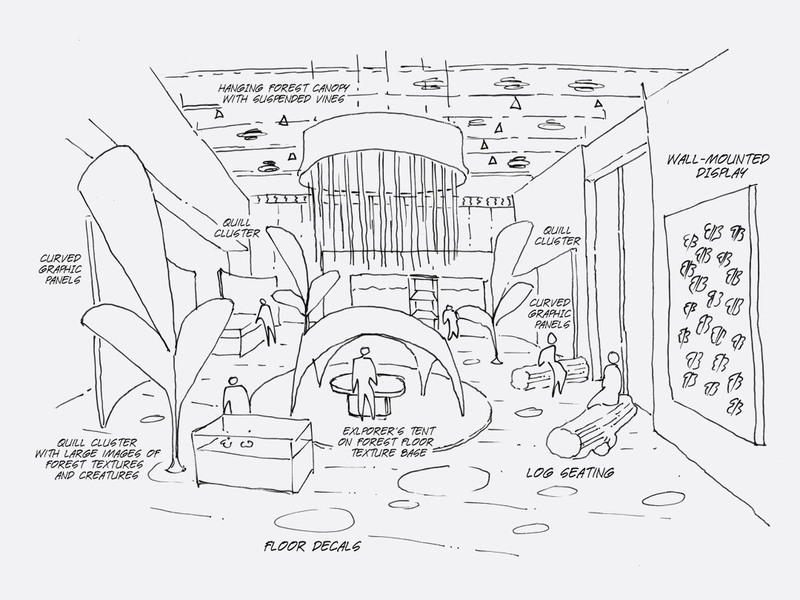 We began by mapping the interpretive themes onto the space whilst developing the visitor flow to maximise the visitor experience. The exhibition space is large, white and has high ceiling heights. 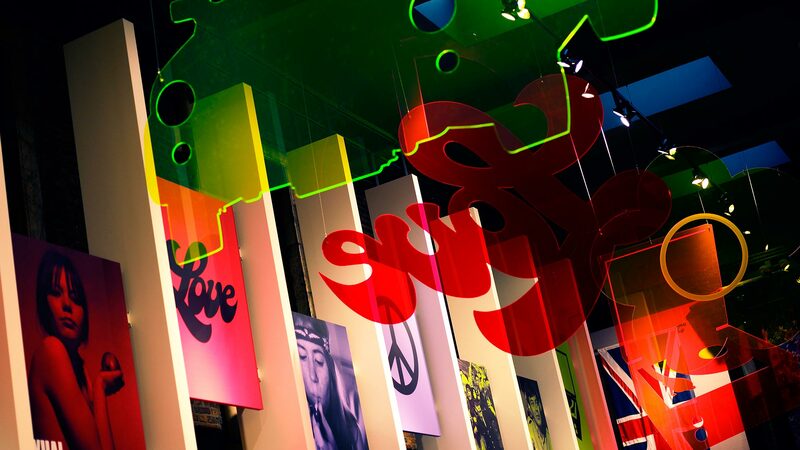 To ensure it did not look too visually sparse we devised large, multi-coloured ovoid decals to break up the wall space and suspended fabric forms from the ceiling. 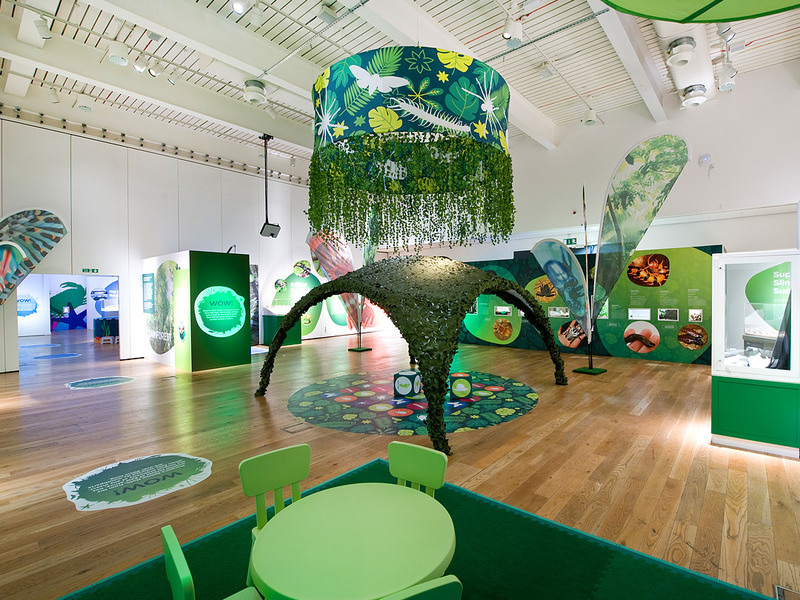 Bespoke, free-standing walls created unusual spaces for children to discover The space contained interpretive panels, live specimens, objects and interactives to guided visitors through the exhibition. 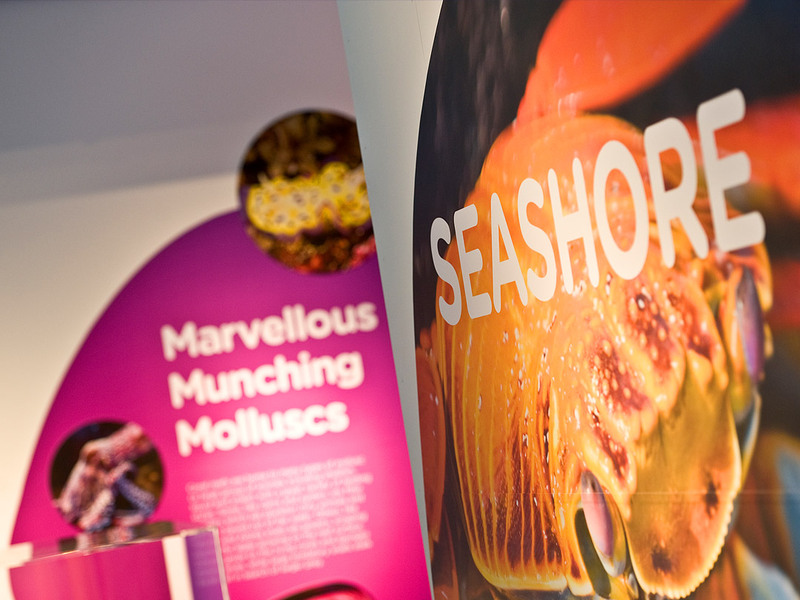 Our team also designed the exhibition branding and marketing campaign. 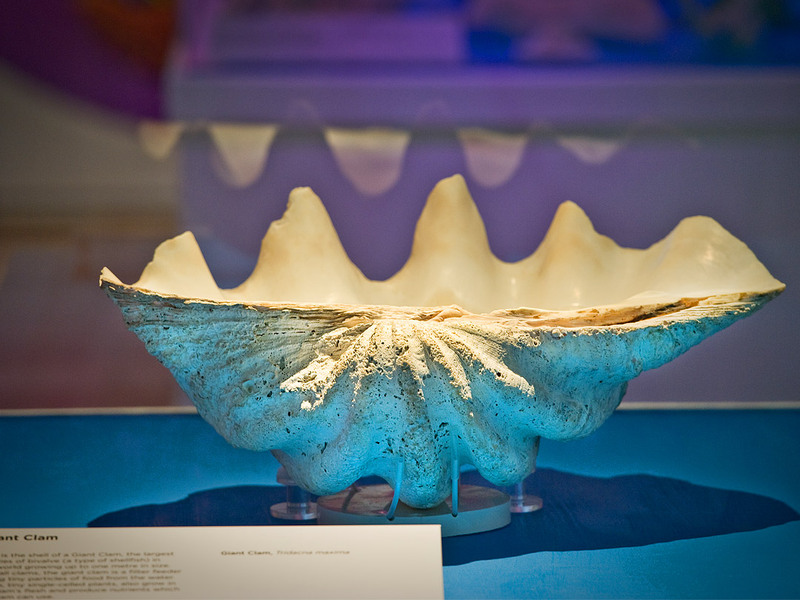 Spineless was the most successful temporary exhibition at GNM for over 10 years, exceeding target visitor numbers in its first three weeks of opening. 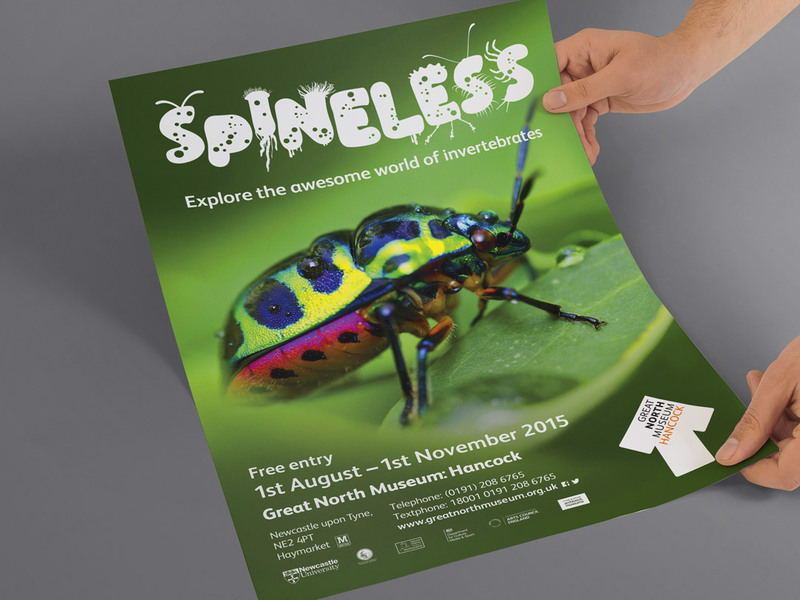 Spineless was most successful temporary exhibtion in the history of the Great North Museum drawing over 146,000 visitors. 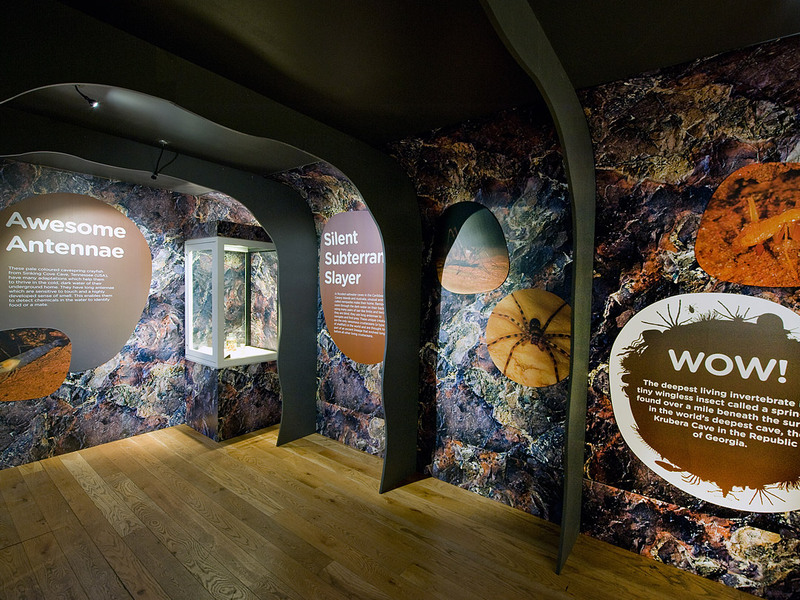 Helping the Great North Museum attract over half a million visitors in a single year for the first time since it reopened in 2009.